Opening the box was the usual amazing experience with sliding lid boxes. The cigars looked perfect and well made, with lovely lightish coloured smooth wrappers with well made caps of all even size. No damage in transit. Smoked one the first night and had some wrapper cracking issues, so recommend leaving box to regulate for a few weeks before smoking. Despite having to cover a crack with finger for half the smoke, it smoked quite well and managed to get some hints of woody cedar with hints of honey sweetness when I slowed the burn down. Can't wait to try another in a few months to see if I can get these nice flavours all the way through. I didn't real enjoy these when I first got them. But after a month in my humidor wow what a difference. Now I actually prefer these! Great taste and not a over powering nicotine buzz, which I like. Mild to Medium. They seem to have a looser draw then other cigars but they burn great, solid burn line on all of the one's I've had. Flavors are great very classic cedar, wood, & rich tobacco. 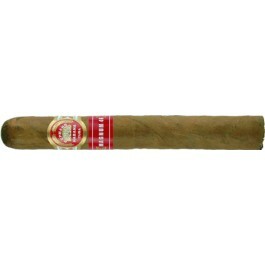 A very classic cigar and a timeless taste. I'd highly recommend getting a box of these! These are great especially if you age them a bit. took 8 business days to receive... ordered a box of the magnums, along with cohiba siglo IV and hoyo epicure especial.... the magnums are great, medium-bodied, full-flavored, serial #'s verified....the real deal! thanks so much!! will be ordering more! Just received a box, APR 2013, and gave them one week in the humidor. Finally could not wait any longer and lit on up. Great construction with no burn issues. The draw was a bit tight but not enough to cause concern. Good amount of smoke and the nice rich flavor with spice, but not as smooth as I hoped. Going to let them age a bit and I am sure the will smooth out and get better and better. Gave it 4 stars for now but I am sure this will be a 5 star cigar with age.